A Master of Business Administration (M.B.A.) opens doors to career opportunities far beyond the financial sector. In fact, information technology, energy, pharmaceuticals, and health care are among industries that saw double-digit growth in M.B.A. hiring last year and the employment outlook for M.B.A. graduates is up worldwide, according to the 2014 GMAC Corporate Recruiters Survey. The College of Management offers flexible and customizable M.B.A. programs that support the wide-ranging individual interests and career objectives of our students. Convenient evening classes enable you to pursue your degree at your own pace, either full- or part-time. Students in our M.B.A. programs represent a blend of professional responsibilities—from senior managers to recent undergraduates—cultural backgrounds, career, and life experiences. These diversities, also reflected in our faculty, provide for an enriched learning experience, both within and beyond the classroom, and reflect the increasingly globalized business environment. All of our M.B.A. and business programs are accredited by AACSB International. The Master of Business Administration(M.B.A.) degree is a comprehensive, integrated, 36-to-48 credit program, which combines the highest levels of academic rigor and real-world relevance. Ethics is embedded throughout the program. Accredited by AACSB International, the M.B.A. Program offers several flexible options to support individual interests, career objectives, and busy schedules. Students may pursue their education on a full or part-time basis in the Campus Program with all classes conveniently offered during weeknights and some classes offered on Saturdays or online. In May 2018, the first cohort of the new One-Year Accelerated Global M.B.A. graduated and this M.B.A. offering continues to grow. Students earn the same M.B.A. degree and take core courses on the L.I.U. Post Campus, but have the opportunity to take electives in Europe, North America and Asia. The first cohort of students lived in Cambridge, England (U.K.) and Shanghai, China while receiving instruction from faculty at world-renowned academic institutions and engaging with real companies in each of the times zones. L.I.U. Post also offers a dual J.D./M.B.A. Program and Corporate M.B.A. Program, where classes are presented onsite at sponsoring corporate offices. Our accelerated B.S./M.B.A. and B.A./M.B.A. programs allow qualified students to complete their Bachelor of Science or Bachelor of Arts degree and M.B.A. in only five years. A bachelor’s degree with a minimum GPA of 2.75 from an accredited college or university. Students who do not meet these requirements are welcome to discuss their options for admission with the graduate advisor. No specific undergraduate major is required for an application. Applicants who are in their senior year at an undergraduate institution may apply for admission to the College of Management, but acceptance will be made contingent upon submission of final grades and receipt of the bachelor’s degree. Applicants who have attended institutions outside the United States must hold a degree equivalent to a U.S. bachelor’s degree. The following standardized tests may be used for admission into the MBA program: GMAT, GRE, and LSAT. The minimum GMAT (Graduate Management Admissions Test) score of 400 is required for full admission. A higher score is needed if the overall undergraduate GPA is between 2.5-2.7499. The GRE Exam is accepted if taken using the 130-170 scale (August 2011 to present) with a minimum GMAT equivalent score of 400. An LSAT Exam taken within the past five (5) years with a minimum score of 141 is also accepted. Prospective students are exempt from standardized testing if they meet the following criteria: hold a CPA license, or either a JD, doctorate or a Master’s degree in (most) Engineering concentrations. Students who have not reached the standardized test qualification are invited to enroll in the Personal Enrichment Program as non-matriculated students and may enroll for a maximum of two (2) 500-level MBA core courses. The student is expected to successfully pass one of the standardized tests listed no later than the completion of the second course in order to continue their MBA program. While our typical MBA student has scored at least a 500 on the GMAT, L.I.U. Post requires a minimum score of 400 on the GMAT for admission into the MBA program (higher if the overall undergraduate GPA is between 2.5-2.75). 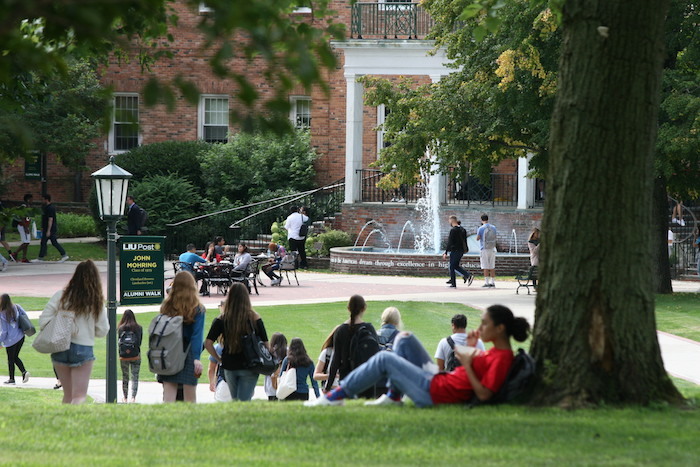 However, students who have not yet taken the GMAT or scored within the acceptable range are invited to enroll in the Personal Enrichment Program as non-matriculated students and take up to two 500-level MBA core courses. It is expected the student complete the GMAT Exam and achieves an acceptable score no later than the completion of the second course. The GMAT is not required if a student has taken the LSAT Exam within the past five (5) years and has received a minimum score of 141. Those students holding a CPA license, JD degree, doctorate degree, or a Master’s degree in Engineering also are exempt from the GMAT. The GRE is not accepted for admission into the L.I.U. Post MBA program. The College of Management at L.I.U. Post offers flexible, feature-rich MBA programs that support the wide-ranging individual interests and career objectives of our students. The MBA degree is recognized by every industry and provides the competitive tools necessary to succeed in dynamic environments. In recognition of the superb quality of the business education offered, all of the College of Management’s MBA and business programs are accredited by AACSB International. The 5-year, 159 credit, AACSB-International accredited B.S. in Business Administration/MBA degree program offers a well-rounded, cost-effective learning experience. You earn your Bachelor of Science (B.S.) degree in Business Administration with optional concentrations in Finance, International Business, Management and/or Marketing, then seamlessly transition into graduate courses in pursuit of a Master of Business Administration (MBA). The 5-year, 159 credit, B.S. in Accountancy/MBA program offers a well-rounded, cost-effective learning experience. You earn your Bachelor of Science (B.S.) degree in Accountancy, then seamlessly transition into graduate courses in pursuit of a Master of Business Administration (MBA). This program allows you to enter the business world sooner, armed with two high-demand degrees. The 5-year, 153 credit, B.S./M.S. in Accountancy program offers a well-rounded, cost-effective learning experience. You earn your Bachelor of Science (B.S.) degree in Accountancy, then seamlessly transition into graduate courses in pursuit of a Master of Science in Accountancy (M.S. ), with a choice of either a Professional Accounting or Taxation concentration. The accelerated B.A. in International Studies/MBA program combines the advantages of a liberal arts undergraduate curriculum of study with the professional preparation of an MBA. The bachelor’s portion of the degree emphasizes economics and international relations supported by the study of culture, language, geography, and history. Students have the option to study abroad through L.I.U. Global's worldwide centers during their junior year. This program prepares students for careers in law firms, corporations, not-for-profit organizations and consulting firms. The MBA degree, conferred by L.I.U. 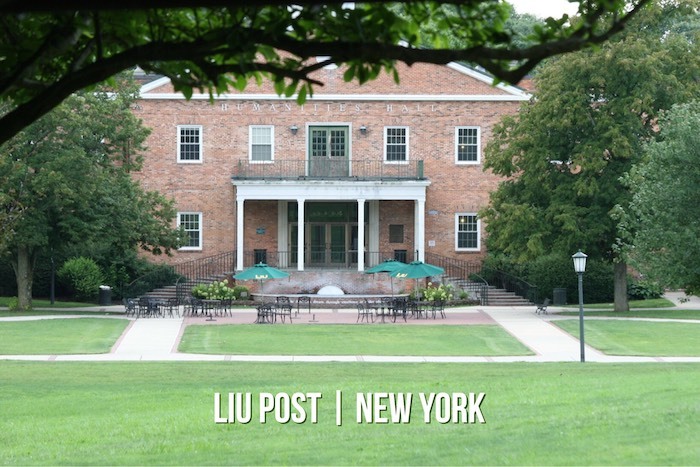 Post, is accredited by AACSB International and the JD degree, offered by Touro Law Center in Central Islip, New York, is ABA-accredited. The number of credits required ranges from 109 to 118, and up to 9 credits from each program can be transferred to the other. The J.D. and MBA degrees are awarded separately by their respective institutions upon the successful completion of requirements. Students must apply and be admitted to each institution separately. In order to sign up for classes under the Personal Enrichment Program, students will need to submit the Personal Enrichment Application (see link below) to the Office of Graduate Programs, Roth Hall, Room 300. This will allow the student to enroll in classes as a non-matriculated student. Professionals with M.B.A.s find employment in every sector of the economy, including privately held companies, nonprofit organizations, and government agencies. Some examples of industries requiring advanced degrees for employees and consultants include luxury retail, marketing, advertising, public relations, nonprofit organizations, international business, media and entertainment, sports, health care, technology, and energy.